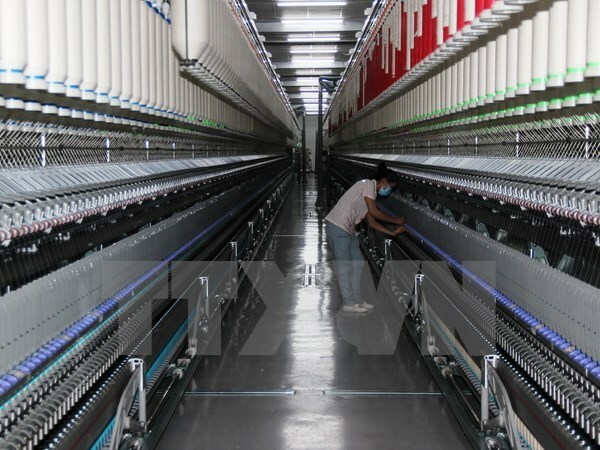 Hanoi (VNA) – The General Directorate for Imports under the Turkish Ministry of Economy has slapped a temporary duty of 36.28 percent on partially oriented yarn (POY) products imported from Vietnam, according to the Vietnamese office of commercial affairs in Turkey. The Ministry of Industry and Trade said that the Turkish measure is also designed to fight against the evasion of anti-dumping duty imposed on POY products from China, India, Malaysia, Indonesia, Taiwan (China) and Thailand. The measure will take effect until Turkey gives a final conclusion on an anti-dumping duty evasion investigation, which was launched in February this year following a petition from Korteks Mensucat ve Sanayi Anonim Sirketi company.